Did you know that seeing angel numbers is one of the most commonly experienced signs from the angelic realm? Angel numbers are short sequences of numbers that you keep seeing, or that seem to stand out to you at “the right time.” When you find yourself noticing a particular number sequence recurring for you, pay attention. This is when your angels are trying to get your attention. Take a moment when this is occurring to ask your angels what they are trying to tell you then relax and find yourself in the moment. Meditation is also very beneficial at this time. From this relaxed and uplifted space, you will start to find that your angels are communicating with you and start to piece together what is being relayed. Numerology is the study of the vibrational meaning of numbers. What this means is it describes the relationships between the meaning of numbers and how they reflect certain characteristics and qualities that relate to life. 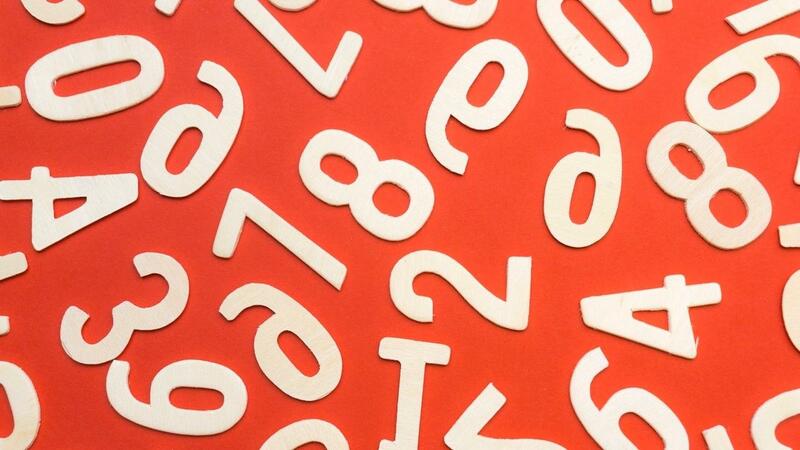 The history of numerology are quite fascinating, and while there is no clear answer as to when numerology first originated, there are historical records as to the use of numerology as early as Egyptian and Babylonian times. What’s important to know about numerology in terms of understanding angel numbers and communicating with the angels, is that each number 1-9, and then also the “master numbers” 11, 22, 13, and 33 hold a distinct and significant meaning. Then when you see triple numbers such as 111, 444, 555, 666, or 777 for example, these are considered supercharged numbers. When you learn the meaning of these individual numbers, you can then link them together to understand the basic message your angels are sharing through the number sequences you see. 0 — A sign that Divine guidance is available for you now in it’s unlimited and unending flow. Increase your present moment awareness to receive the Divine guidance and reassurance available to you now. 1 – Stay positive. Think about and focus on what you want, not on what you dislike, fear, or what you’re worried about… Your thoughts create! 2 – All is well. Stay optimistic that a positive outcome is aligning and you will draw it towards you. Keep the faith. 3 – The ascended masters are with you, helping you and guiding you from the realms of spirit. Become aware of their love and presence. 4 – Angels are with you! Keep asking for help and knowing you have access to angelic guidance healing and assistance at this very moment. 5 – Change is in the air! Call upon your angels for help manifesting positive new changes in your life. 6 – Find a balance between the material and spiritual. Worrying about money is counterproductive. Call on Heaven to help you release fear and to trust. 7 – Lucky 7! You’re on track and aligned with luck and Divine magic, look for open doors and new opportunities opening up for you now. 8 – Infinite abundance and prosperity are available to you in all areas, especially to help you accomplish your purpose. 9 – You have everything you need to accomplish your soul’s purpose and to step into completing your lightwork… It’s time to get started and to take action. 11 – Honor your intuition, it’s right on! Keep your thoughts in alignment with your dreams and intentions for the future, and release any doubt or nervous energy into the light. 11 is a powerful number of dreams, intuitive illumination, and connection with Spirit. 22 – Your prayers have been heard and are working to turn your dreams into reality. Success is in the air. Stay patient, aware, and present as you keep taking inspired action to build your dreams into reality. 13 – The Divine feminine energy is with you and supporting you in tuning into the power, magic, and frequency available to you now… As cycles end, stay positive to step into powerful new beginnings. You are ascending. Keep taking life one step at a time. 33 – Check the facts as you progress towards your goals, but also remember to trust your strong intuitive guidance and direct link with the ascended masters too. You are powerfully supported in mastering your life lessons and helping those around you to do the same. When you start noticing and interpreting the angel numbers that are showing up around you, you will not only be able to receive a more clear guidance, but you will feel more closely connected with your guardian angels as well. However, I will say that fully understanding the meaning of the angel numbers you see is a highly personal process. While you can this guide to help decipher the meaning of the angel numbers, just keep in mind that when you see angel numbers there is always more guidance that you can tune into directly from your angels. Use your intuition discretion and meditation to determine what the angel numbers appearing in your life are telling you. This will open an entirely new chapter in your journey of tapping your untapped potential and I’m so excited to see how it goes for you. Take a moment and let us know about an experience you’ve had with angel numbers. We look forward to seeing how this guide enhances your journey to Own Your Diva!